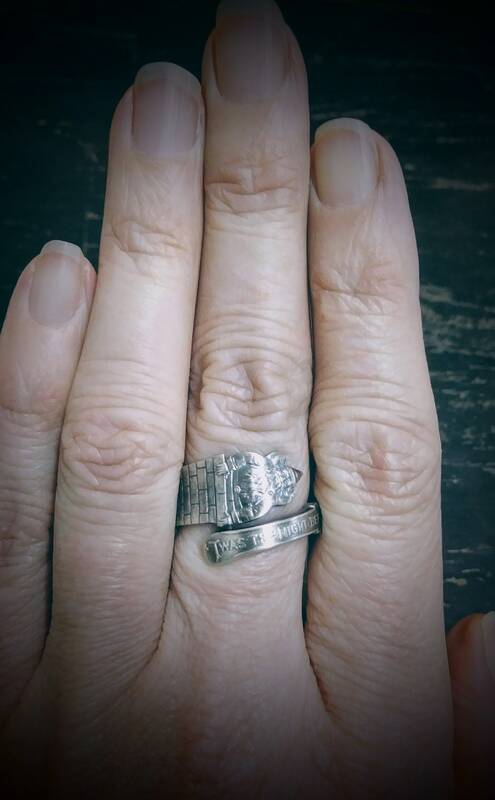 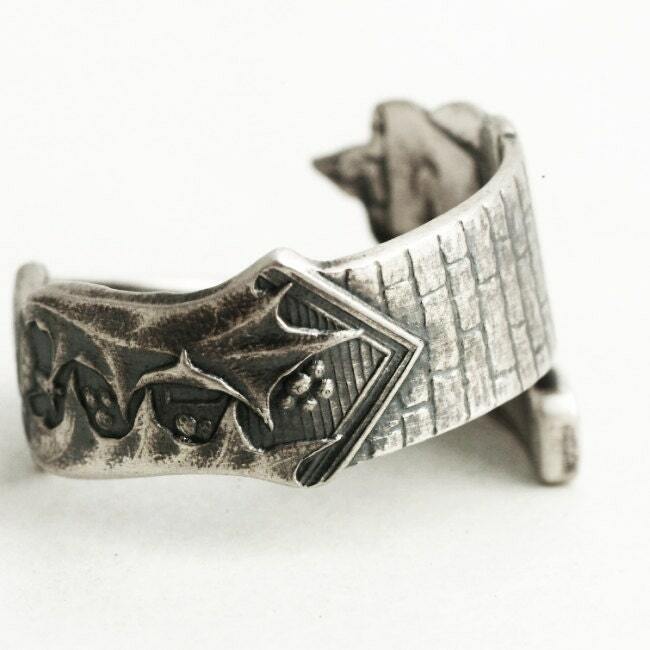 Vintage sterling silver demitasse spoon upcycled into a beautiful ring! 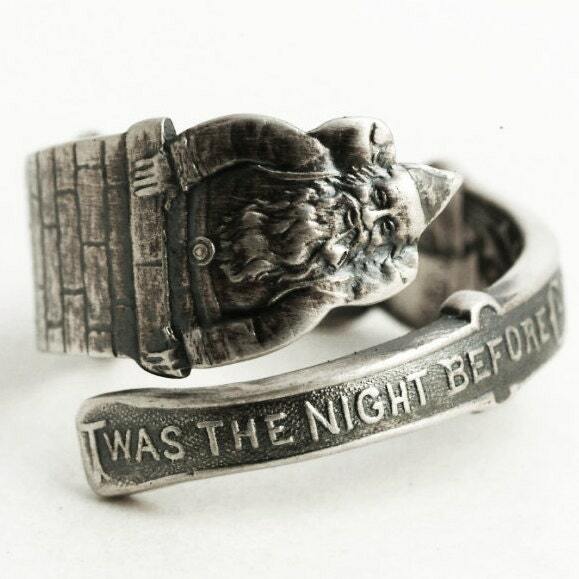 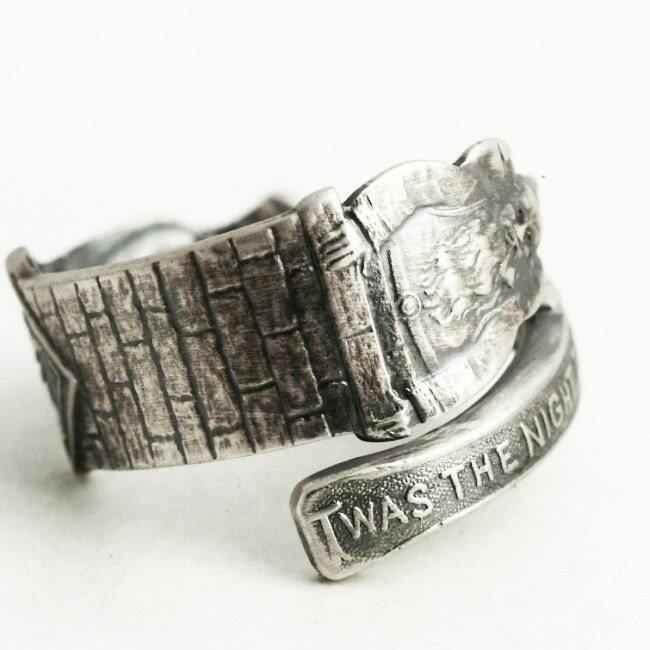 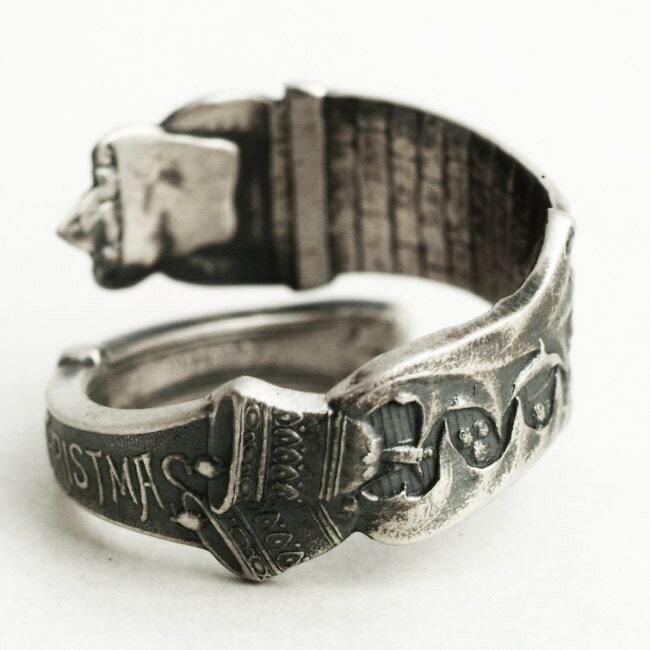 This ring depicts a detailed Santa with a sac of toys over his shoulder coming out of or climbing into a chimney! 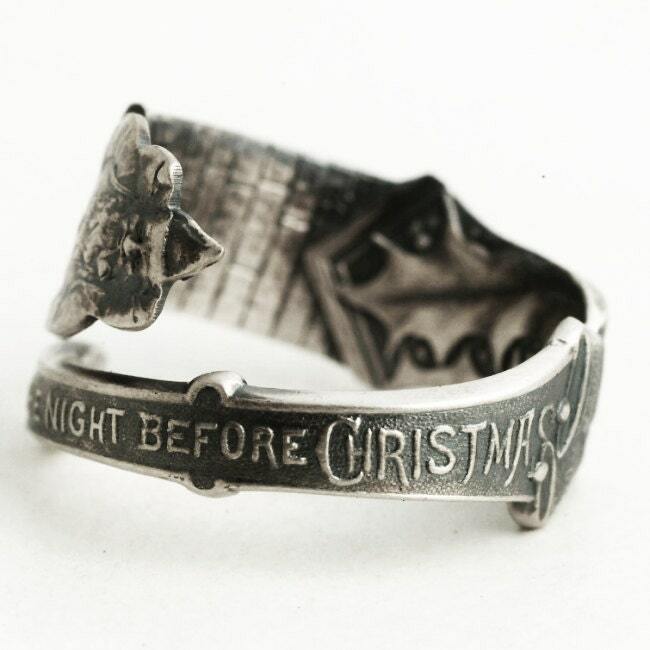 Down the chimney you see some holly and bells, followed by the words, "Twas the night before Christmas". 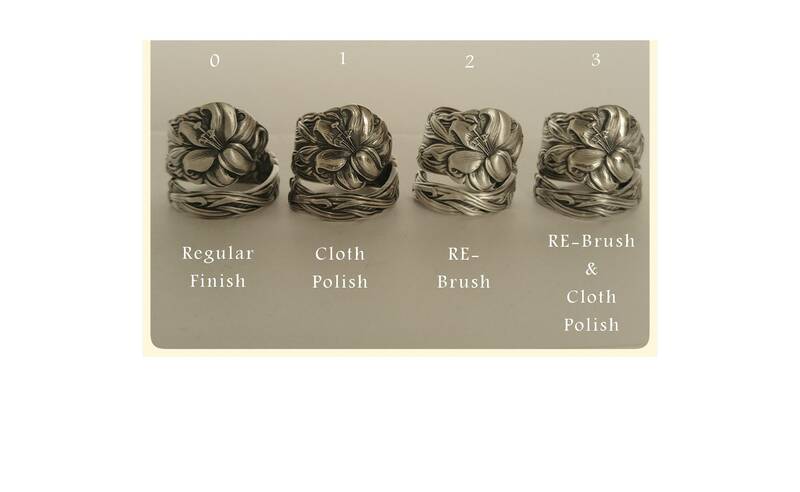 This is a rare and difficult spoon to find for a decent price!